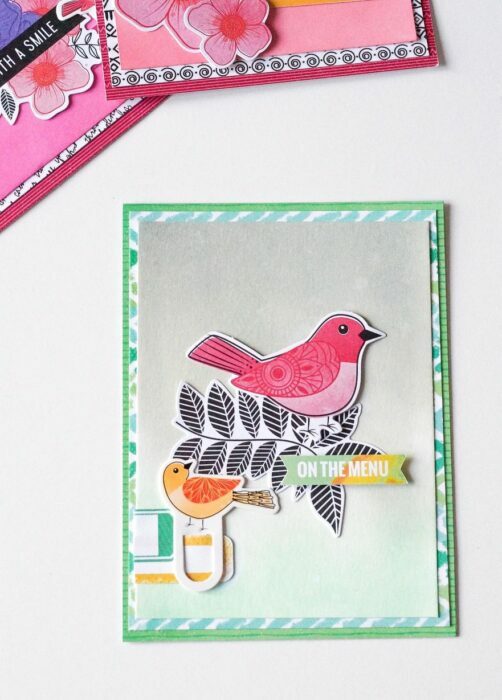 I am crazy about this card from Jen Davis. 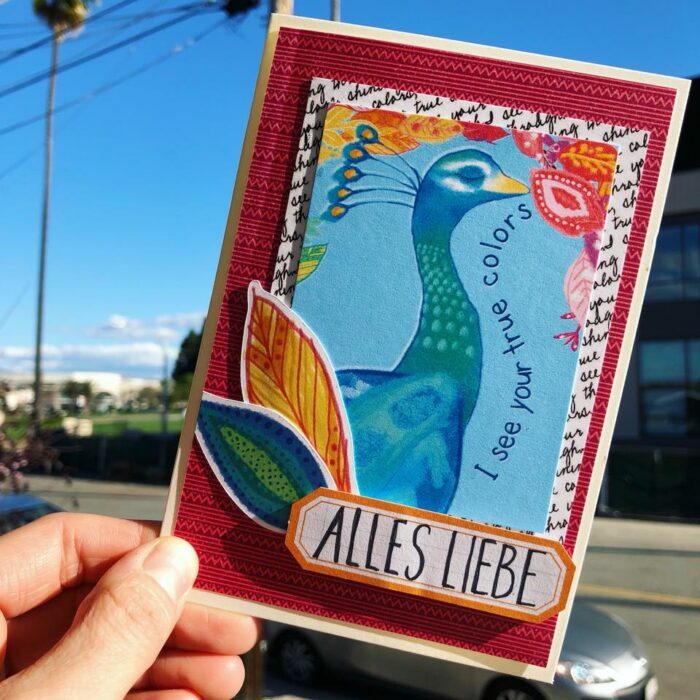 I love that she doesn’t forget to add a sentiment on the inside. 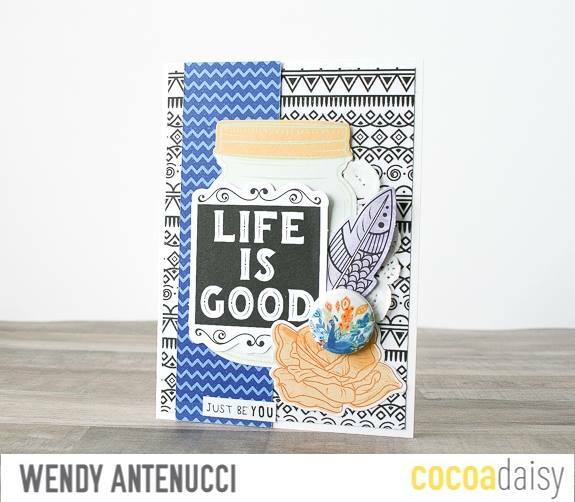 And the kit’s phrase sentiment stickers are perfect for it! 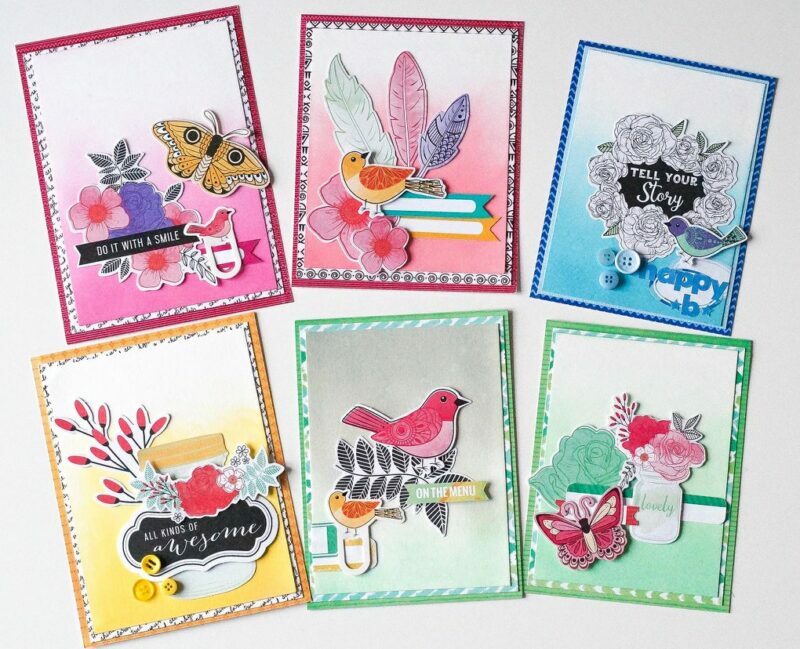 Simone has a gorgeous assortment of cards for us this month. 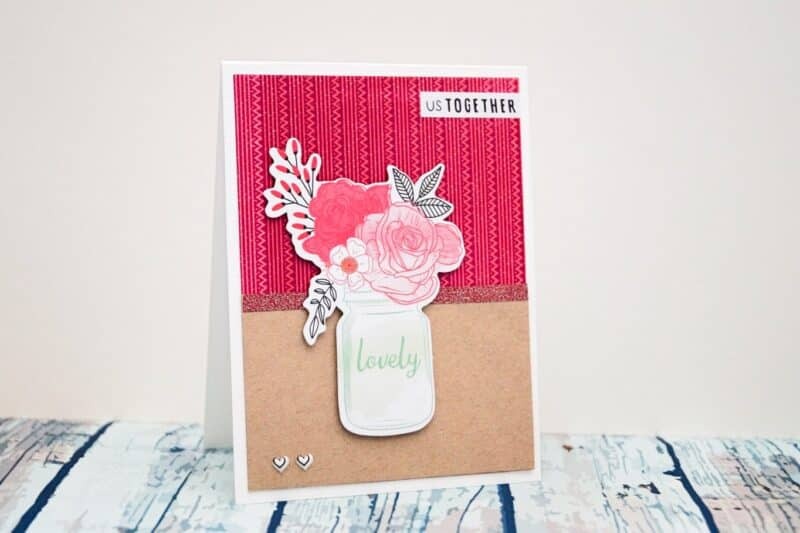 Her hand lettered sentiments pair wonderfully with the kit cards. 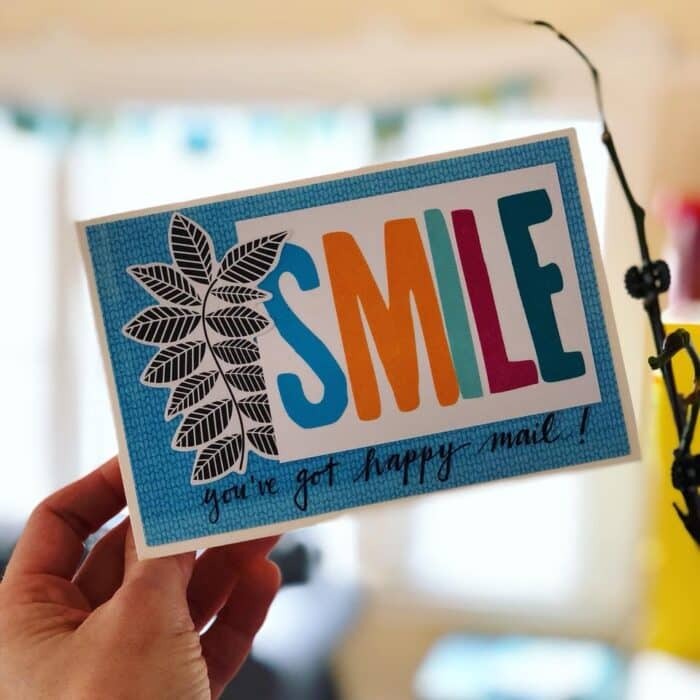 The best part is that her cards have already been put to good to use and mailed off! 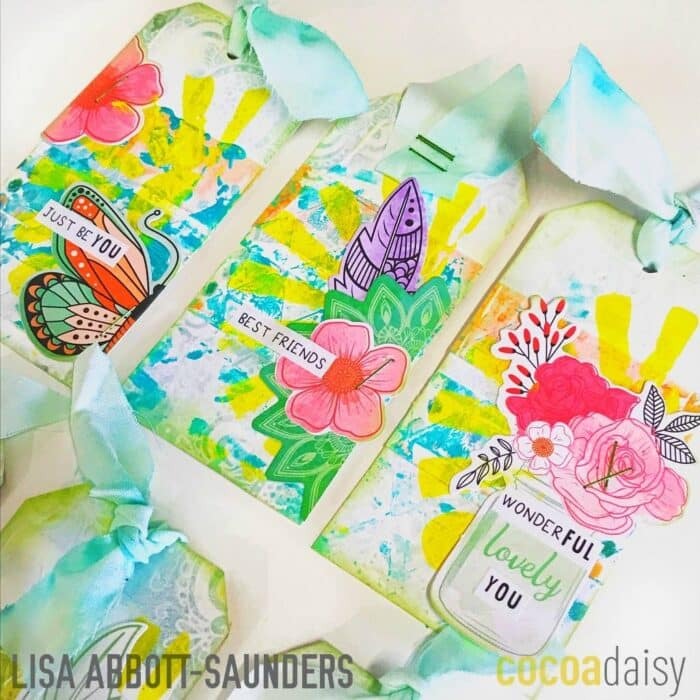 Lisa has a stunning array of mixed media tags from this month’s kit. That teal blue paint makes me so happy! 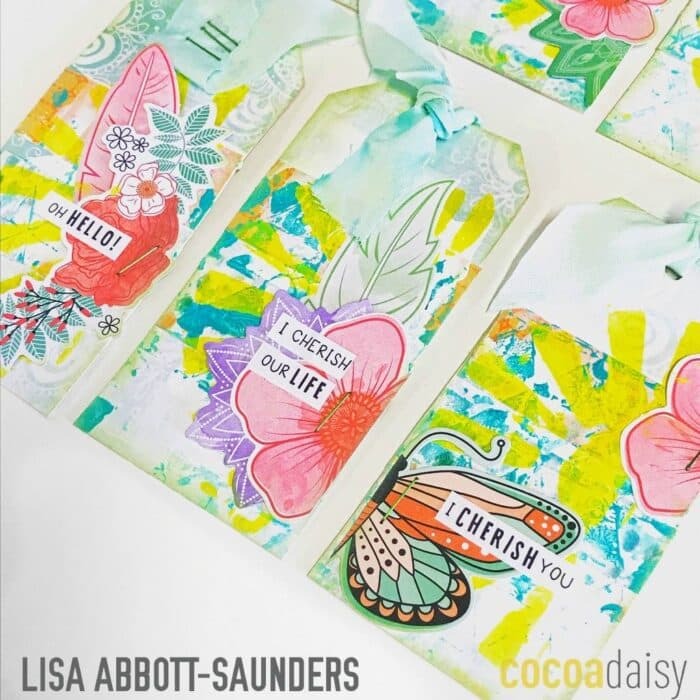 Take a look at her video to see how she used the kit plus stencils to make these bright and colorful tags! 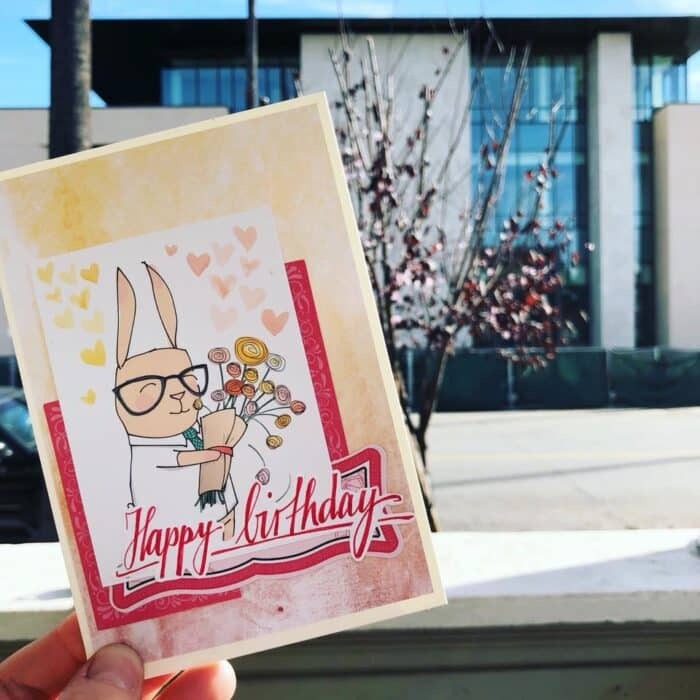 We get six cards from Estelle. 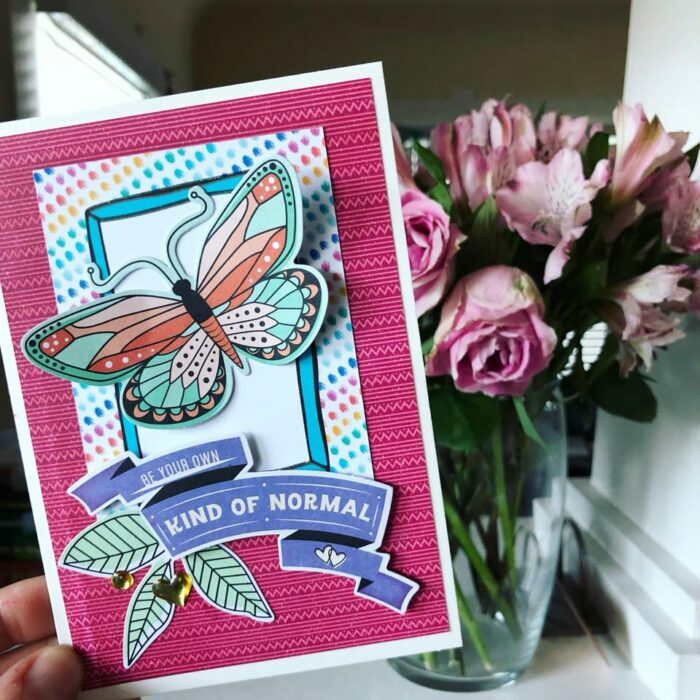 The flower, bird, and butterfly die cuts make a beautiful and easy card making strategy. 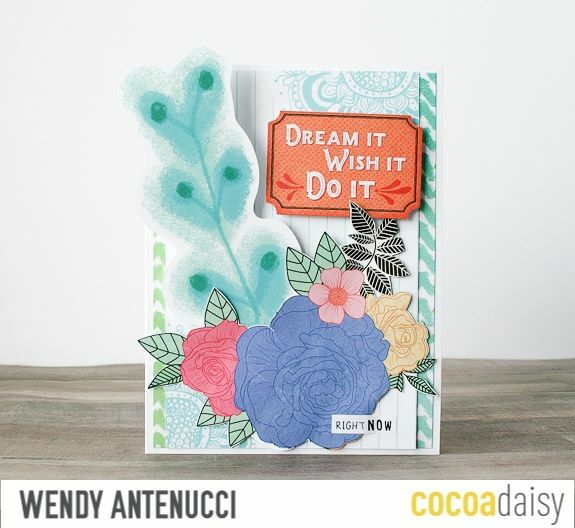 Wendy has a pair of beautiful and colorful cards here. 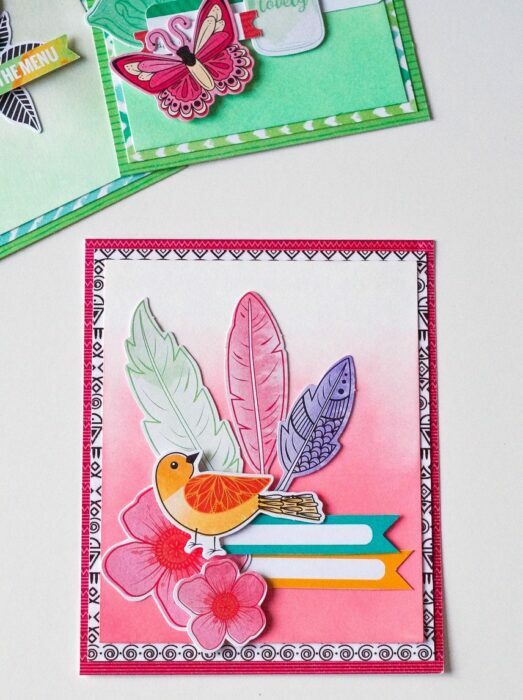 I love how she layers lots of die cuts on top of patterned paper. 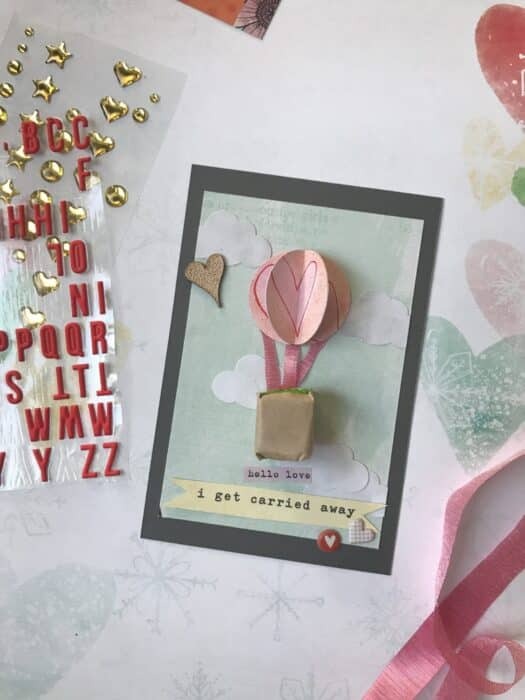 I have a hot air balloon card for you to check out. 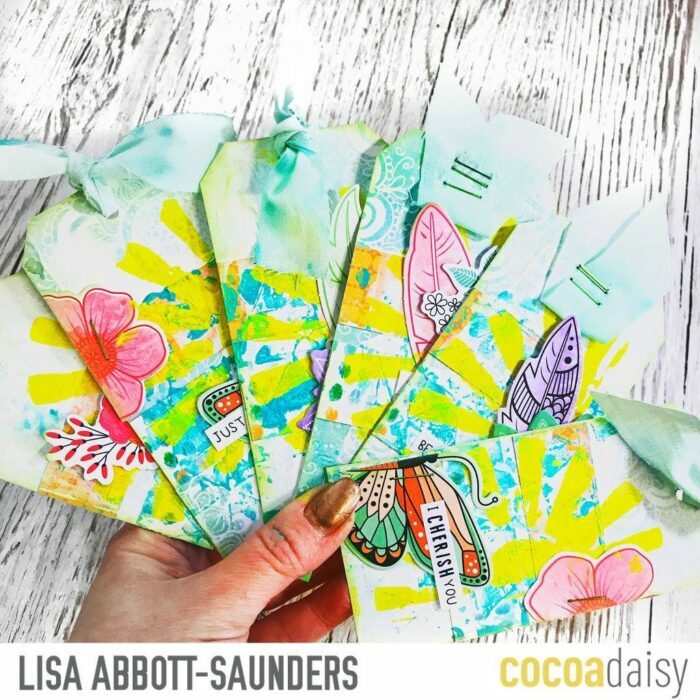 I used a pair of wrapped up candies to add a little extra sweetness to it. 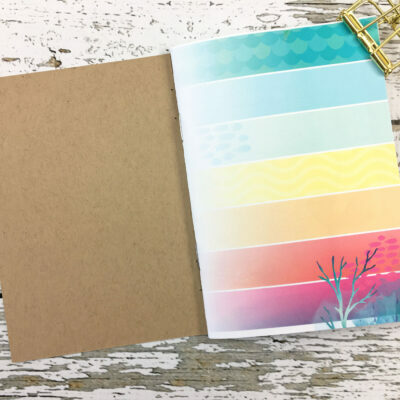 Check out the video to see how it is made. The kids and I made 42 of these for their classmates and they were a big hit! 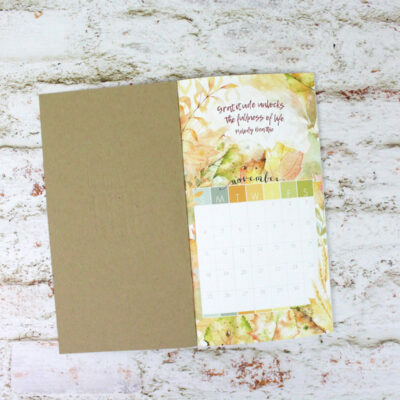 Thanks for checking out all of our card and tag ideas on the blog today. What are some of your favorites? Ps. 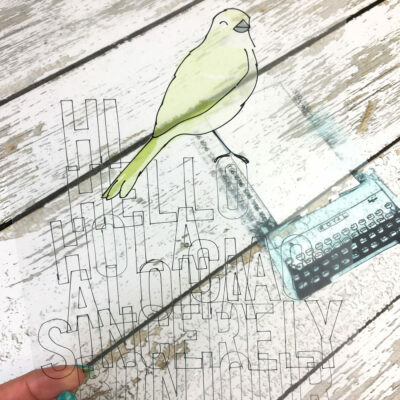 You can follow me on Instagram or see me at my blog! 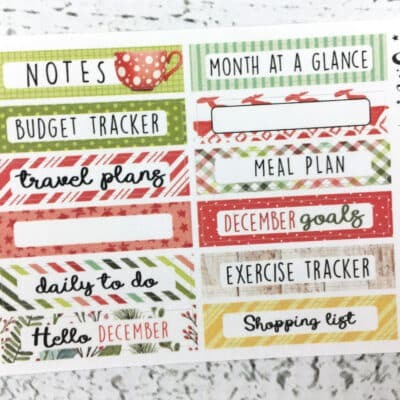 I love all the tag and card ideas. 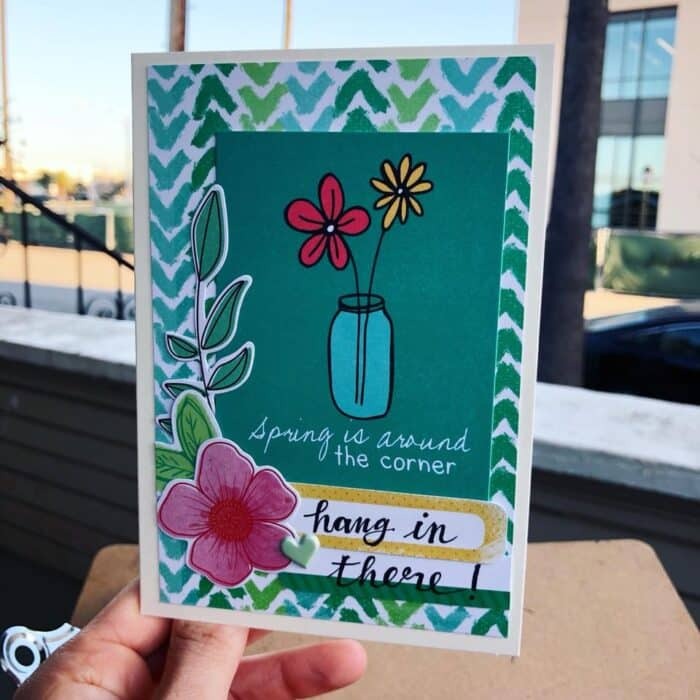 I love to make cards, and i’ve made a whole new stash of them this month, thanks to the inspiration from the team!